It wasn’t long ago that we learned Taiko no Tatsujin: Drum Session! was coming to the United States and Europe on November 2, 2018. Unfortunately for European fans who like physical copies, Taiko no Tatsujin: Drum Session! will only be available digitally for the PS4. 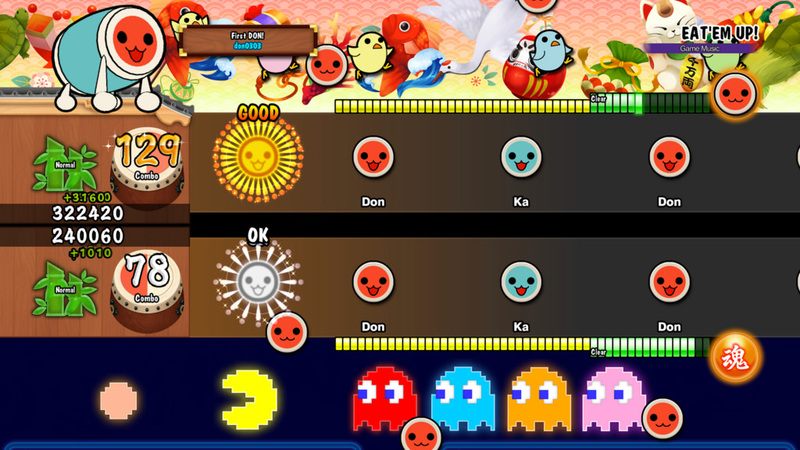 We’re pleased to announce that Taiko no Tatsujin: Drum ‘n’ Fun! for Nintendo Switch will be available digitally and physically in Europe with the Taiko Drum Set! Taiko no Tatsujin: Drum Session! for PS4 will be available digitally. The tweet also includes a detailed breakdown of what songs will appear in each game. Remember Taiko no Tatsujin: Drum Session! is the title coming to the PlayStation 4! The track listing is identical to the Japanese release’s song library. It appears that our dream of a Taiko drum set controller for PS4 may be just that, a dream. But there’s no information about whether a physical copy or the Taiko drum set coming to North American yet, so let’s keep hope alive! Will you be picking up Taiko no Tatsujin: Drum Session! when it releases on November 2, 2018 for the PS4? Tells us in the comments below! Tags: Bandai Namco Entertainment, Taiko no Tatsujin, Taiko no Tatsujin: Drum Session!